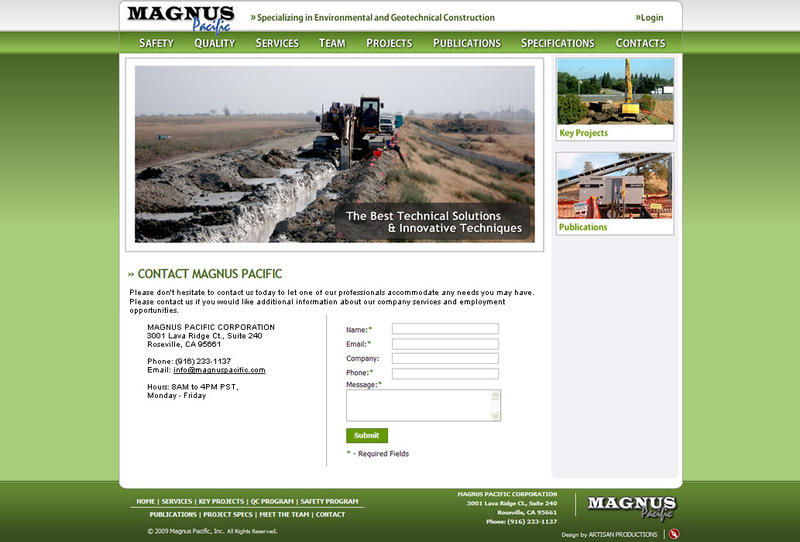 Magnus Pacific, based in Roseville, California is a general contractor specializing in environmental and geotechnical construction. 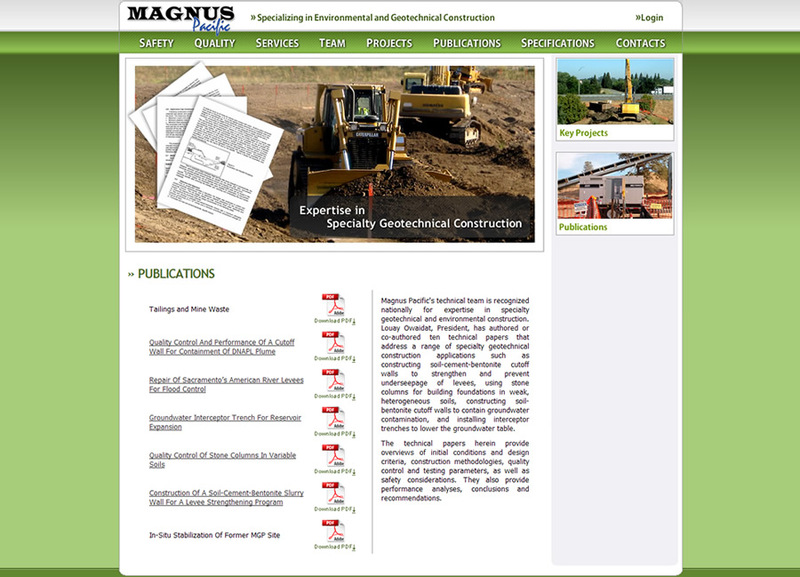 Develop website to reflect the quality of the work and accomplishments with large scale construction projects. . . Informational website designed to drive traffic in a local personal watercraft repair shop. To create a brand identity, introduce brand to target market, create market position for new brand, build awareness and drive demand. Create consistent layout and color scheme throughout all of the marketing media including company logo, PWC website and Craigslist Ad. Artisan Productions can help you start, grow or expand your construction business! We create custom websites from scratch, to provide you with an unique website tailored to your needs generating organic local traffic. We know how to build attractive and easy-to-use photo galleries, slide shows, and Flash animations to show off your work. 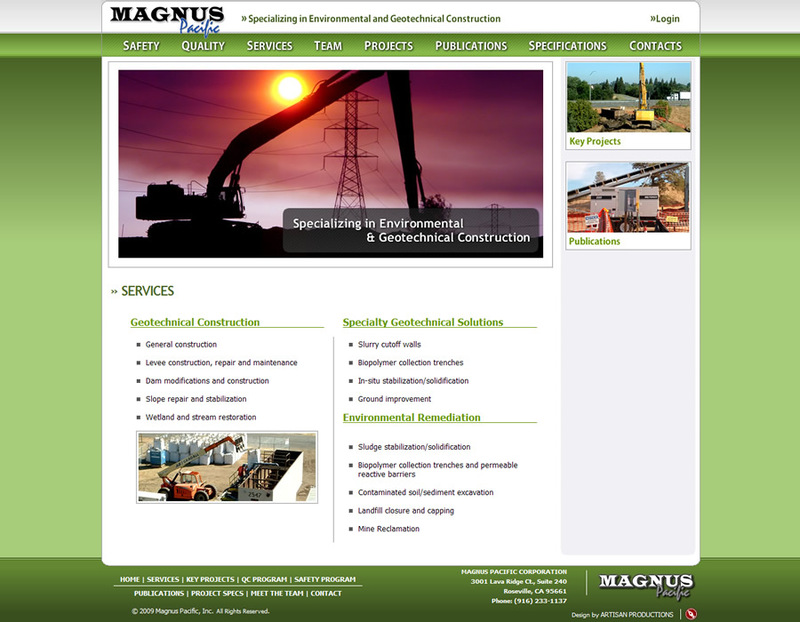 Our clients include businesses such as general contractors, painters, civil construction companies, plumbing companies and environmental construction. 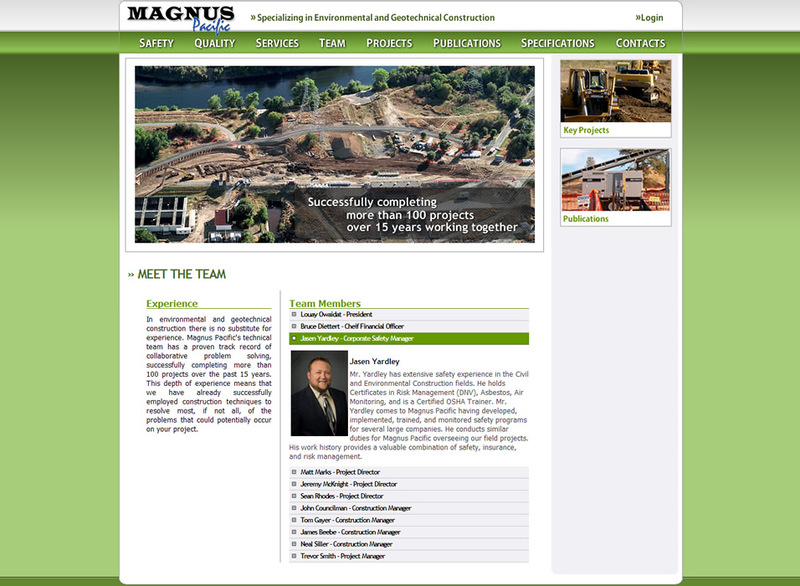 View rates for our contractor website design services. SOLUTION: Artisan Productions created custom design that incorporates an industrial color pallete with images that pop with color. Using imagery, we are able to illustrate the large scale nature of their environmental construction projects. 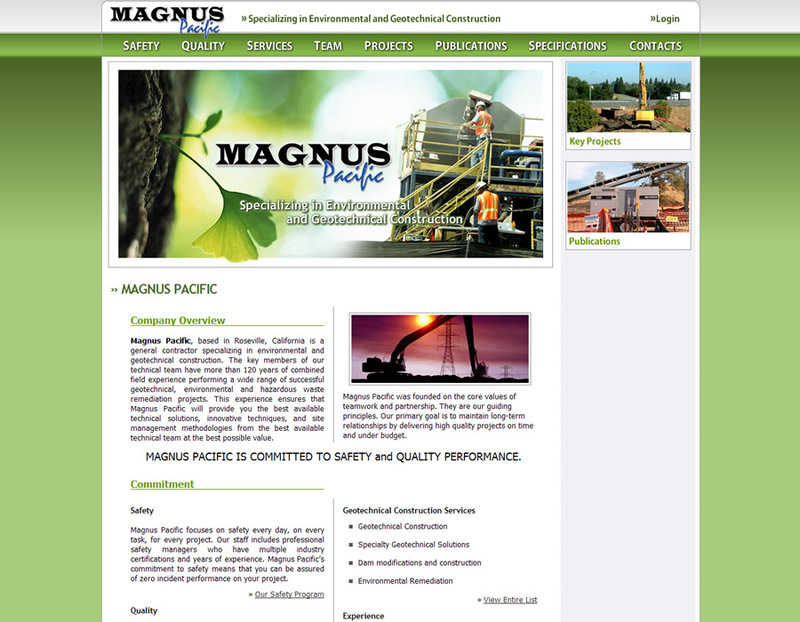 The finished website sets Magnus Pacific apart from other general contractors and serves as a striking and effective marketing tool for their construction company. "Having Igor and Artisan Productions produce our website was possibly the best decision our new business has made. Igor and his staff made the process simple and easy to understand. He was responsive to our needs and exceeded our expectations for timeliness. In just a matter of weeks, our webpage has already received dozens of compliments from customers who noted that the design was in perfect harmoney with our branding concept and the look of our shop. 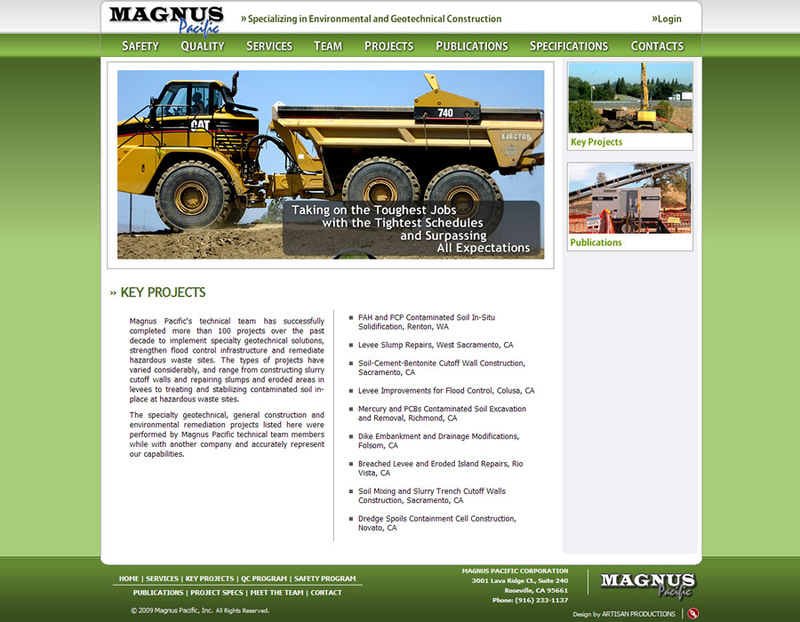 Updating the website ourselves is made effortless with the help of the content management software. We couldn't be more pleased and have already referred others to this Sacramento web design company. Thanks Igor and Arisan Productions"